From the 2017 Reader’s Favorite Gold Award Winner for Fiction, the 2015 Silver Award Winning Memoir from International Best Selling Author L.B. Johnson. How Much Dog Hair Does it Take to Heal a Broken Heart? Jet pilot turned Law Enforcement Investigator, L.B Johnson.thought she had the world by the tail until a bundle of mayhem disguised as a lab puppy came into her life. After heartbreak as a young teen Mom, and witnessing too much violence for one lifetime, she wasn’t going to get too attached to another living creature, but Barkley had other plans for her. The Amazon #1 Best Seller “The Book of Barkley: Love and Life Through the Eyes of a Labrador Retriever” takes readers from the author’s depths of grief and loss at a young age to an empowering new life chock-full of love. But Johnson’s radical life change didn’t come from just her renewed faith in God or from friends, but instead from a black Labrador called Barkley who taught her the real, innate meaning of love. In a wholly-unique and uplifting new memoir, Johnson tells the deeply-personal story of her life and experiences with a rambunctious Labrador Retriever named Barkley. It’s not just a story of one woman and her dog, but a bold journey to discover what love really is, and why learning to live like a dog gives humanity a powerful new meaning. 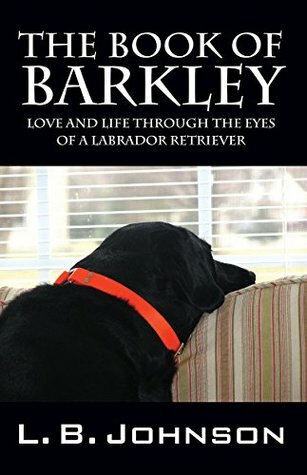 The Book of Barkley: Love and Life Through the Eyes of a Labrador Retriever by L.B. Johnson is a non-fiction read that is the author’s memoir of life with her pet Lab, Barkley. For animal lovers we all know that pets are like family and we all grieve when they are gone and this author chose to write down her thoughts and memories and share them. Overall this was a lovely read and I did enjoy joining in with Barkley’s mom as she remembered her time with him. The story however had a tendency to wander a bit away from Barkley and his time into other eras and memories and that just seemed a little off and didn’t flow as well as I thought it would if only concentrating on the doggie days. Her books include the #1 Amazon Best Sellers “The Book of Barkley” and “Saving Grace – a Story of Adoption”. She also has been awarded the Readers Favorite International Silver Book Award for Excellence in Writing. 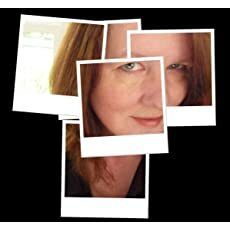 Her third book, her first fiction novel “Small Town Roads” was published November 2016.